Individual Cost: €15 per person (pre registered price) Registering on the day costs €20. 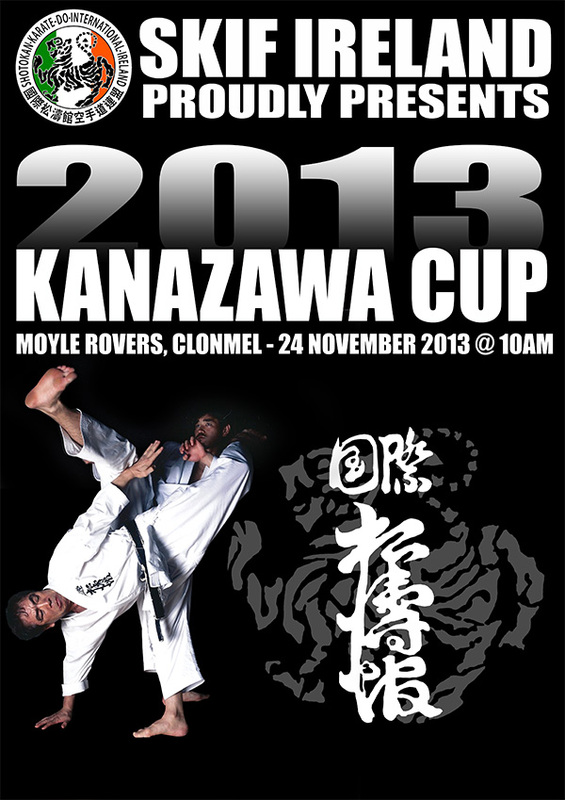 Gumshields , mitts, Groin Guard and Chest Protectors are compulsory for all competitors in Kumite. Shin/ footpads are forbidden and if they are worn the competitor may be immediately disqualified. This will be a pre registered event. All entries must be in before Saturday November 16th to ensure correct placings in the draw ( to avoid club members meeting in first rounds). Please email your registration to martinsheehan@ski-ireland.com, or post to Martin Sheehan, 1 Farrahy rd, Kildorrery, Co. Cork . Referees and Judges, blazers and greys, bring your own whistle. We hope to run all planned categories as is, but should the number of participants in any category be less than 4 they will be amalgamated with another group. There will be medals for 1st, 2nd and Joint 3rd place.